It is one of the earliest known paintings of the Flemish Albrecht Dürer. The painter portrayed his father probably just before leaving for the Netherlands. Originally this panel was part of a diptych together with the portrait of the mother Barbara Hopler that today is preserved in Nuremberg. 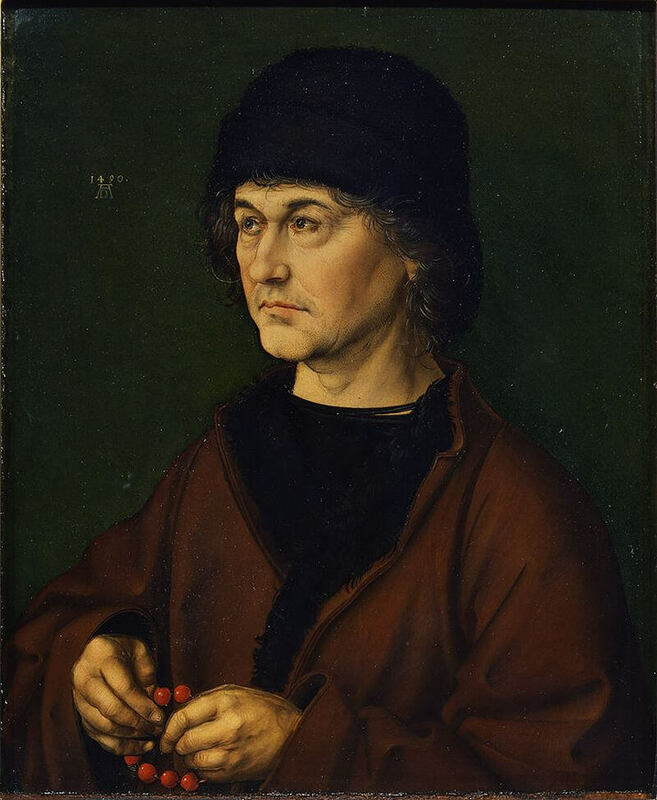 Albrecht Dürer the Older is portrayed half figure, turned three quarters with the hands on his lap holding a red rosary, obvious homage to the Flemish painting. With this painting you can notice how the artistic quality of Dürer was already remarkable.